On 3rd August, Justin Sun, the Founder and CEO of Tron Foundation, announced that the TRX tokens can now be used in over 20,000 stores in Italy and Spain. 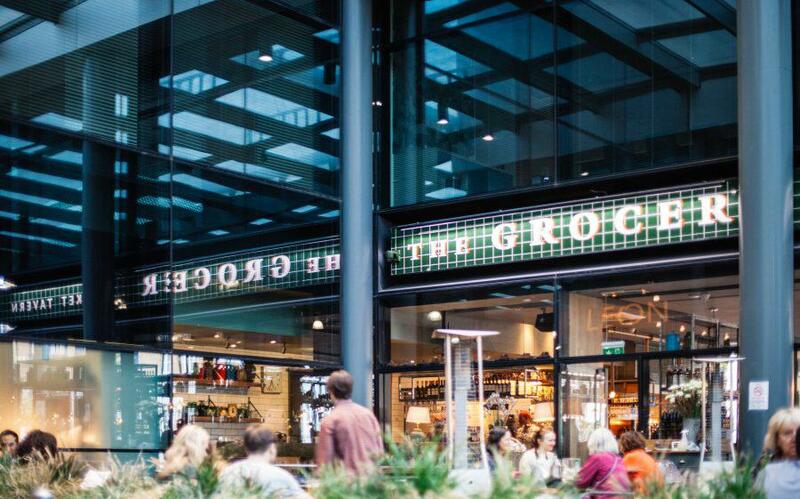 The payment machine works with a voucher model where a customer is asked to purchase a voucher from a store that accepts tokens which can later be redeemed for cryptocurrencies. 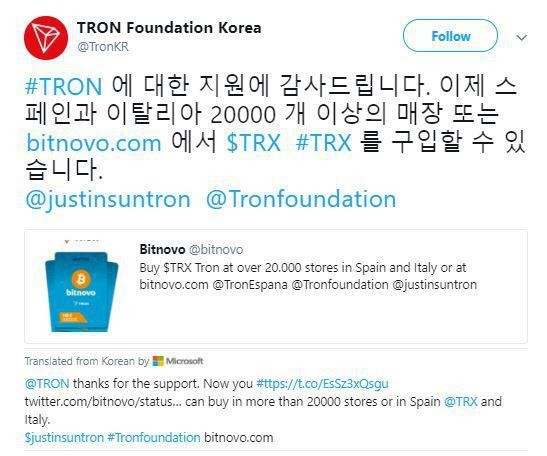 The Foundation has stated that Bitnovo, a cryptocurrency platform, is responsible for the trading of the TRX tokens in these countries. Bitnovo also enables users to trade in other cryptocurrencies such as Bitcoin, Ethereum, and Litecoin. The market chains that accepts TRX in Spain and Italy include Carrefour, FNAC, and Game. Moreover, Bitnova claims that they hold the security in the highest regard and to extend that they have appointed a special cryptocurrency security team. Tron has been enjoying a surge with multiple developments occurring over the past few weeks, with the launch of the Tron Virtual Machine [TVM] being a major boost to the company. The Tron Virtual Machine is compatible with the Ethereum Virtual Machine and developers can shift from the Ethereum platform to the Tron platform ‘almost free of cost’. Moreover, Justin Sun also revealed the secret project, Project Atlas. The project is going to enable 100s of million users of BitTorrent to be a part of the Tron ecosystem. This is considered as one of the biggest achievements of Tron in the community as Satoshi Nakamoto, the creator of Bitcoin [BTC] had also mentioned BitTorrent in one of his emails. Tron was also in the news for the launch of the Tron Wallet on the Google Play Store making the application available for Android users before Apple users. The wallet was developed by the Tron Foundation in association with Getty/IO, a software company.